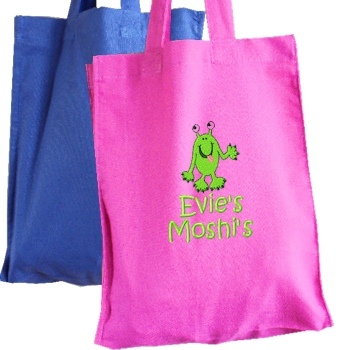 Fun-tastic childrens cotton hobby bag or gift bag that can be personalised with an embroidered name or little message of your choice. All 100% cotton mini tote bag with short carry handles that can be used, re-used and machine washed. Great for a party bag, gift presentation bag, birthday bag, small book bag, or a hobby bag to keep all those collectable toys or cards in! You may choose to have an embroidery motif added for a small additional charge of £4.00. We have many embroidery designs to choose from. Please click the big green link under the picture to view these and make your selection. 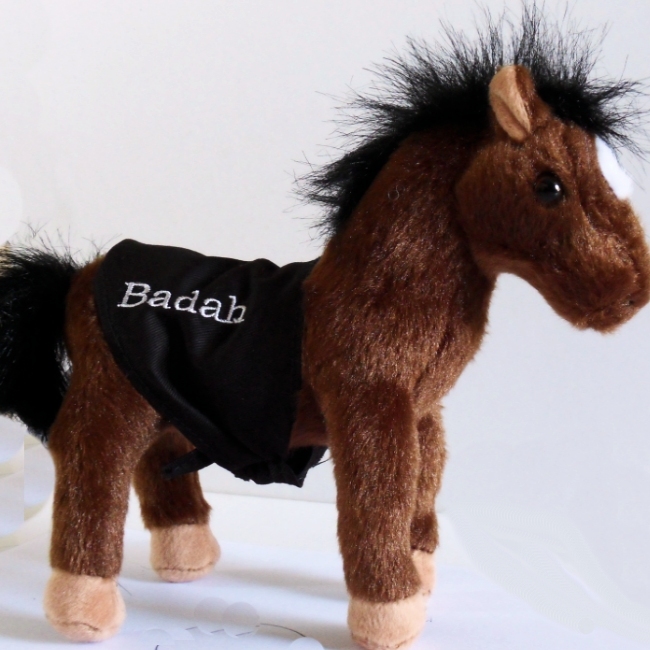 Please allow approx 3 working days for personalised items to be made and dispatched. Size: 21cm (w) x 26cm (h) and a 6cm gusset.